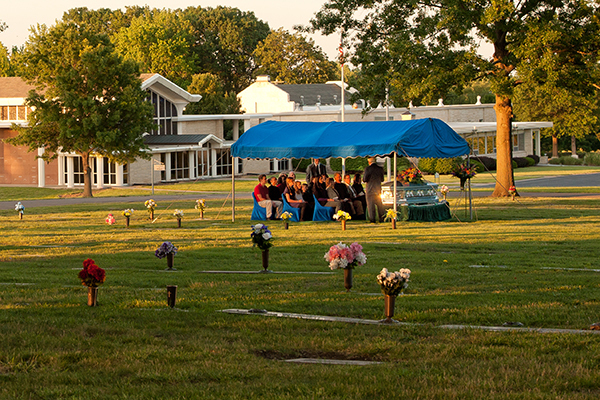 A graveside service at a cemetery can be held in addition to a funeral ceremony, or in place of one. 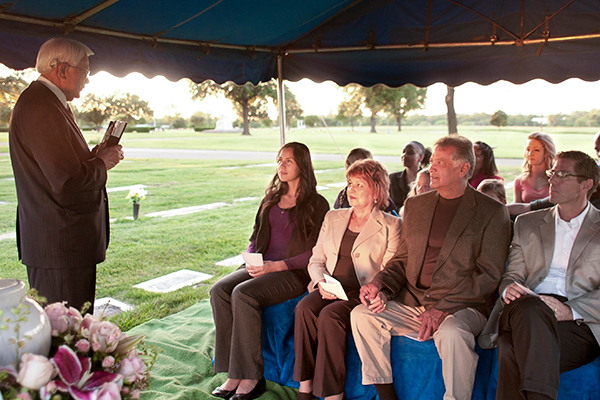 Here are some things to know about holding a graveside service. Prior to the service, cemetery staff will open the grave and set the vault in place. After the service, the casket will be lowered into the vault, and covered with earth. Sometimes this happens after the family leaves, and other times the family will want to observe the process and perhaps participate in shoveling dirt into the grave. The cemetery will typically set up a tent over the grave space or nearby, with chairs for family and a few guests. If a graveside service is held after a funeral, it is normally only attended by family and close friends, rather than the community at large. 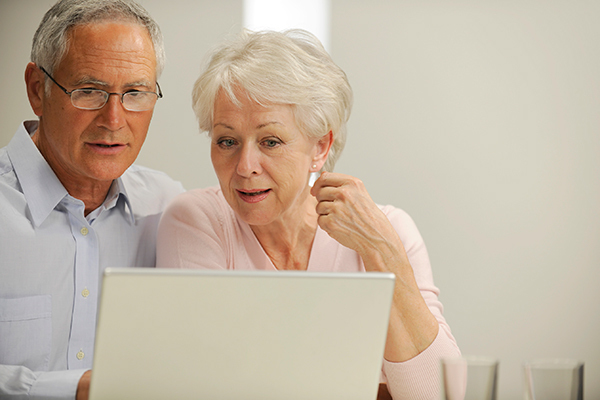 You can ask your funeral officiant to let the guests know whether the graveside service will be public or private. Guests may travel in a procession of vehicles from the funeral, or simply meet at the cemetery. This depends largely on local laws, traditions and the preferences of the family. In large cities, it is safer to simply meet at the cemetery rather than try to follow in procession. When guests and the hearse arrive, pallbearers will be asked to carry the casket from the hearse to the grave. 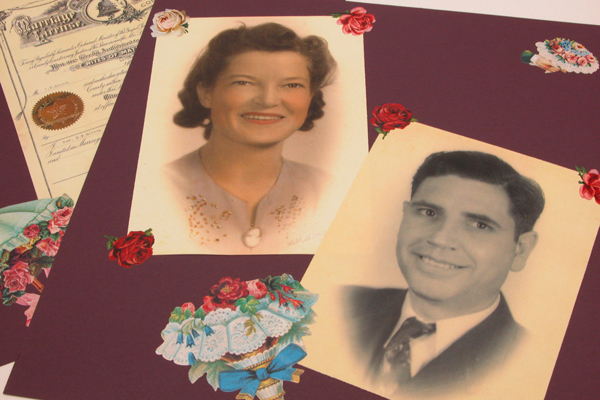 Our funeral director or staff member will be on hand to assist in this process. The casket will not be open at the graveside. Graveside services are typically brief, partially because they are outdoors and at the mercy of the weather, and also because most of the guests will need to stand. An officiant, such as a minister, celebrant, funeral director or family friend may read a poem or religious text, and share a brief eulogy. Music can also be played, either from a recording or live performer. You might also have loose flowers on hand for guests to place on the casket before it is lowered into the grave or take as a keepsake. After the service is concluded, the family can greet guests and receive condolences. 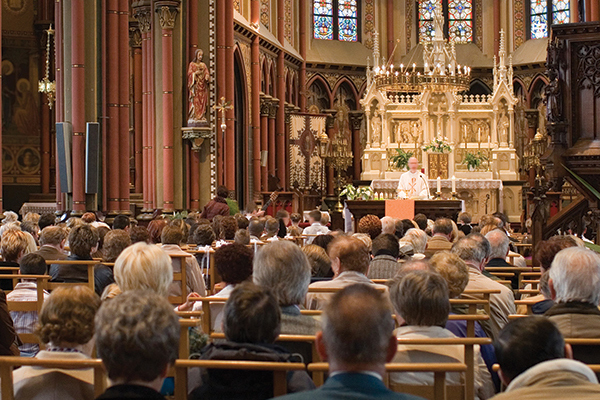 Many families choose to hold a meal at a church or restaurant following services, as a chance to catch up and support each other through this time.